Quick, how many US coal power plants are closing in just the first two years of the Trump Administration? If you randomly guessed more than 40, run right out and buy yourself a cigar. The solar and natural gas trains have left the station, and the utility Florida Power & Light Company is already on board. FPL is no small potatoes. It’s the nation’s third-largest electric utility. The company boasts a typical household bill 25% lower than the national average and it is leaning on coal plant closures to keep its rates going down, down, down. So, here’s where it gets interesting. Last month FPL issued a major announcement about closing its St. Johns River Power Park coal plant, in which it took the opportunity to promote its solar investments. Okay, so now everybody already knows that FPL is into solar, right? Well, from FPL’s perspective everybody doesn’t know it enough. Barely six weeks after that first announcement, on Monday FPL blasted out another detailed press release to update the world on what would otherwise be just another routine step in a bureaucratic process to shut down the St. Johns plant. That step involved FPL filing a petition with the Florida Public Service Commission to shut down the plant by year’s end. The company could have issued a routine press release focusing on the closure, but instead it chose to reiterate juicy details about its solar plans from the April release. FPL also layered on a long, sharp, brutal argument that details exactly why coal is never coming back. Ouch! With President Trump trying to impress world leaders on his first overseas trip, the timing is a little awkward. Again, FPL could have publicized the information about the St. Johns closure without beating on coal so much. But, then again its sister company is the leading renewable energy firm NextEra Energy Resources. FPL and NextEra Energy Resources both come under the NextEra Energy umbrella, and that company has a high sustainability and social responsibility profile — it’s ranked in the top 10 globally if you go by Fortune Magazine’s reckoning. So yes, it’s a good bet that the new FPL media push is aimed at shoring up NextEra Energy’s position in the renewables marketplace while undercutting the Trump rhetoric on coal. Read between the lines and the message is to pay no attention to that man behind the curtain, FPL knows exactly what we’re doing — and we’re doing solar and gas, not coal. To be clear, FPL is relying heavily on natural gas to transition out of coal. However, Monday’s press release is full of good news about the company’s plans for solar. The approximately 1,300-megawatt plant…is no longer economical to operate. The retirement of the plant is expected to save FPL customers $183 million as well as prevent more than 5.6 million tons of carbon dioxide emissions annually. …This proposal is another step forward in our ongoing strategy of making smart investments in affordable clean energy to better serve our customers now and in the future. …Any time we can replace less efficient sources of energy with cleaner fuels or solar, it’s a benefit for people and nature. Investments such as FPL’s in clean energy technologies are key to Florida’s future health and prosperity. To pile on the hurt, FPL notes that the St. Johns plant was built in 1981 to replace oil, for exactly the same bottom line reasons. Up to 1981 FPL’s power mix was based mainly on oil, a circumstance that was economically unsustainable. Now it is coal’s turn to give way to a better solution. FPL is not nearly done beating the coal horse. The press release also goes on to describe the St. John’s plant as “one of the highest-cost generating facilities to operate and maintain” for FPL and its partner in the plant, JEA. Advances in technology have made cleaner, more fuel-efficient power generation from natural gas and solar more cost-effective, and the addition of a third major natural gas pipeline into Florida will soon make it possible for the generation of clean, affordable power to serve Floridians’ needs without SJRPP and two other coal plants that FPL is shutting down. FPL dings the Trump pro-coal message again by using the same press release to launch the approval process for its proposed new high efficiency Dania Beach Clean Energy Center. The new facility is projected to generate approximately $400 million in net cost savings for FPL customers – over and above the cost of construction – during its operational life. Also, if you caught that thing about two other coal plants shutting down, you’re not seeing things. FPL is hoping that its shutdown request for the St. Johns plant will be approved in time for it to cease operating at the end of the year, making it the third closure in the past two years. For those of you who guessed more than 40 coal plant closures nationally, the most precise count CleanTechnica has come across is 45 units in 16 states by the end of 2018, compiled by the Institute for Energy Economics and Financial Analysis. 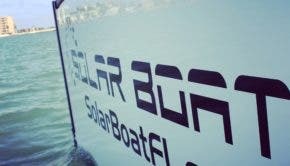 As for FPL’s solar push, the company has been embroiled in a tug of war over third-party installations and distributed generation in Florida. The company’s business model is still based on central power plants, which puts it behind the curve when it comes to distributed energy. …FPL expects to build all of this proposed new universal solar capacity cost-effectively – meaning these investments will result in net savings for FPL customers.